Sarcocystis and pentastomes infections are uncommon zoonoses of worldwide distribution. In most of the cases, they were detected as an incidental finding at autopsy or necropsy. Recently, serious attention has been given to Sarcocystis when large human outbreaks have been reported in Malaysia. 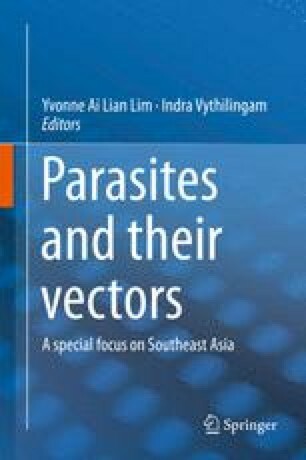 Similarly, the detection of a recent human pentastomiasis case in East Malaysia since nearly four decades ago has alerted that pentastomes should not be ignored by the medical and laboratory personnel. In addition, understanding the routes of infection is crucial in preventing further cases. This chapter will focus on sarcocystosis and pentastomiasis cases among humans and animals.